But director of Inter's medical department Piero Volpi has signalled Icardi could be back in action soon. "He underwent the first stage of physiotherapy before an individual spell of rehabilitation," he told the club's website. "He's joining up with the group again, catching up with his team-mates. We'll evaluate his condition next week and only then can we say how long will be required before he's fully available. "We'll continue with the normal process, like with all of our players. You start with individual work, then you train in part with the rest of the squad before returning fully." 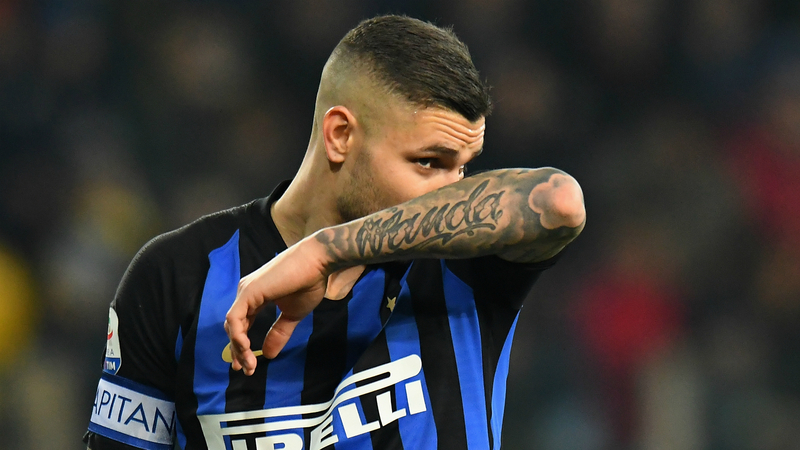 Inter's form has been good despite Icardi's absence, Spalletti's side beating AC Milan 3-2 in their last game to leapfrog their rivals into third place in Serie A, and Volpi gave an update on Radja Nainggolan's calf injury and Stefan de Vrij's setback on international duty. "Nainggolan is recovering from the problem that he had around 15 days ago. He's improving and we're finalising his individual plan," he added. "Like with Icardi, we'll evaluate him at the start of next week and see when he can return to training with the group. "With regard to De Vrij, the Dutch doctor who we have an excellent relationship with like with all national team staff informed us of the issue. It should only be a case of fatigue because the ultrasound tests came back negative."